Taking algebra? 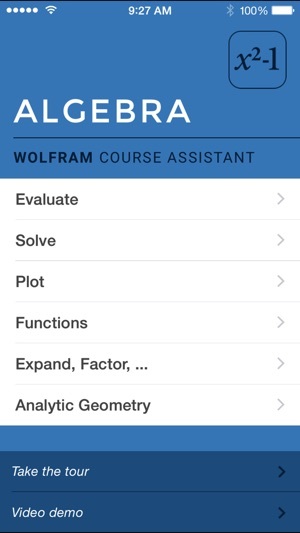 Then you need the Wolfram Algebra Course Assistant. 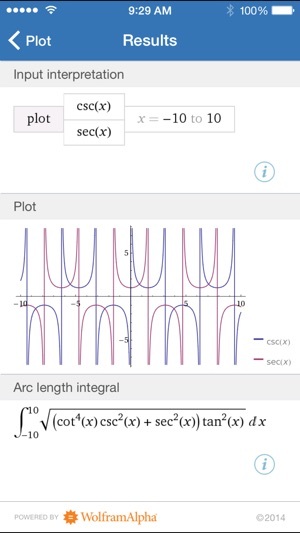 This definitive app for algebra—from the world leader in math software—will help you quickly solve your homework problems, ace your tests, and learn algebra concepts so you're prepared for your next courses. Forget canned examples! 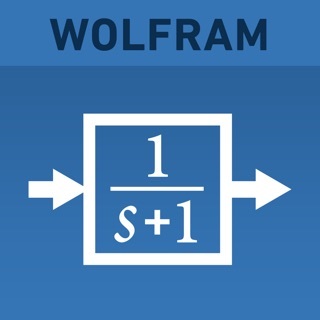 The Wolfram Algebra Course Assistant solves your specific algebra problems on the fly, often showing you how to work through the problem step by step. - Evaluate any numeric expression or substitute a value for a variable. 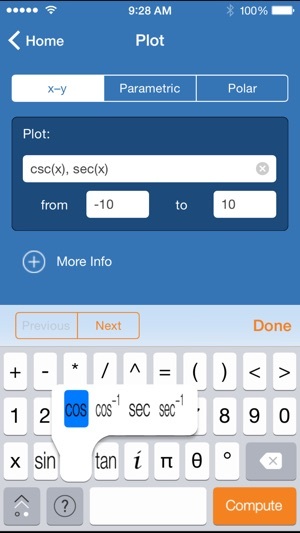 - Simplify fractions, square roots, or any other expression. 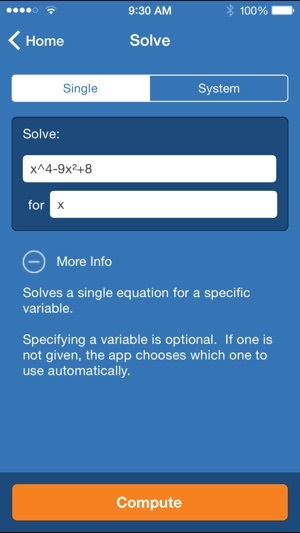 - Solve a simple equation or a system of equations for specific variables. 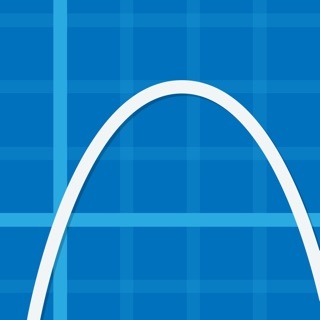 - Plot basic, parametric, or polar plots of the function(s) of your choice. 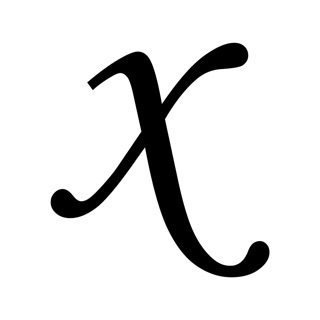 - Factor numeric expressions, polynomials, and symbolic expressions. - Divide any two expressions. - Find the partial fraction decomposition of rational expressions. 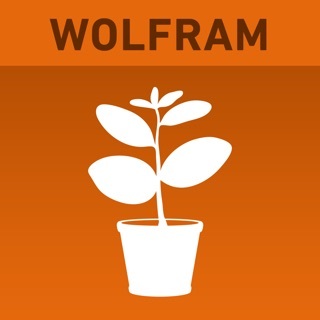 The Wolfram Algebra Course Assistant is powered by the Wolfram|Alpha computational knowledge engine and is created by Wolfram Research, makers of Mathematica—the world's leading software system for mathematical research and education. 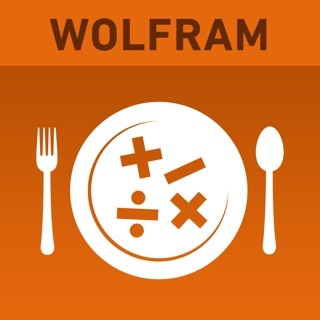 The Wolfram Algebra Course Assistant draws on the computational power of Wolfram|Alpha's supercomputers over a 3G, 4G, or Wi-Fi connection. 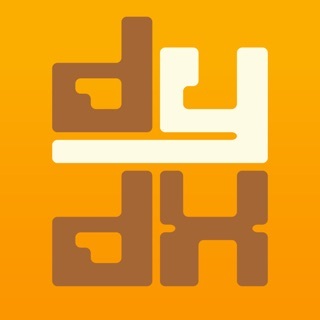 This app would be far more helpful if it covered much more of algebra and if it showed the steps for all of the problems you input. 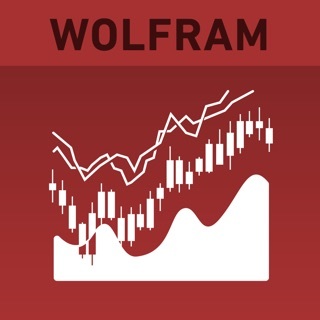 I had planned to buy all of the WolframAlpha Course Assistants but until they become more comprehensive and begin showing all of the steps for all of the problems, I can't see these being a very big help to my kids. 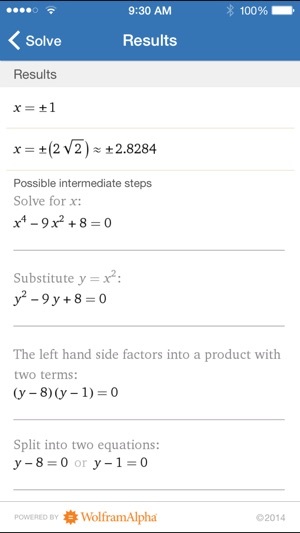 I do have a great deal of respect for what WolframAlpha has done as far as the computational knowledge engine so I trusted that the specific course assistants would be more instructive at least as far as showing steps and having more types of problems so that a student can learn what steps to take and not just the answer. As far as that, sometimes you can't even get the answer because the app doesn't cover enough of algebra. I would have no problem paying more for a more comprehensive and helpful app. 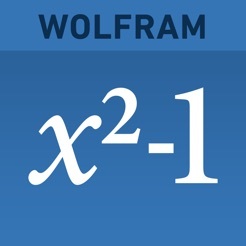 As a WolframAlpha fan, I have to say I'm sadly disappointed. I even watched the video before I purchased it and in the video it clearly states that you will see the steps for the problems you input. Please improve this app as well as the rest of the course assistants if they are as incomplete as this one. This is a fantastic app. Powerful, easy to learn, and has a lot of useful functions. I use it constantly to check my homework to ensure I'm on the right track. My biggest complaint, however, is the keyboard layouts between the iPhone and iPad versions are so drastically different that it's very confusing to switch between them. Personally, I think the iPhone keyboard layout makes much more sense, and I find myself using it more often, even though the iPad screen is much better for this type of app. Fix the inconsistencies between the two versions, and it would be a 5-star app. © 2017, Wolfram Alpha LLC.